Many people grow summer vegetables in a small plot but may not make full use of the space through the autumn and winter. By the end of September even the last sowings of quick maturing salad crops such as radishes and salad leaves will be coming to an end. You can move onto winter hardy lettuce especially if you have cloches or fleece available, or start to sow spring onions for an early crop next year (again choose a winter hardy variety). There are some crops, garlic in particular, that benefit from late autumn planting as a period of cold weather encourages larger bulbs the following year. Traditional advice is to plant garlic cloves before Christmas. If the ground is to be empty over winter think about protecting the soil from both the compaction of heavy winter rains and nutrients being leached out if we have a wet winter. Green manure crops protect the soil surface and secure nutrients but need to establish well before the first frosts. 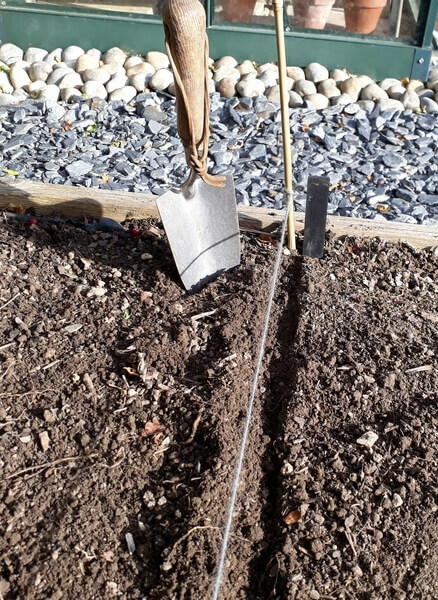 They are best sown soon after the ground is cleared of summer vegetables so that they have time to germinate and cover the soil before temperatures fall. Alternatively a layer of landscape fabric pegged down will help to reduce the impact of winter rainfall. General advice is not to add manure or compost to a free-draining soil until early spring to avoid the nutrients that you add simply being leached through by winter rains. A heavier soil is less susceptible to this and organic matter in clay soil can reduce waterlogging.